Saw Ultra Panavision 70, Tarentino's "The Hateful 8", projected in Anamorphic 70mm. Crazy beautiful. An entirely chemical analog process. As exciting as this all sounds, we don’t know which of the 50 theaters will be getting these 70mm cameras or if it will be confined just to a domestic release. Tarantino’s fondness of film extends all the way to The New Beverly, his theater where no digital films are allowed. For those who don’t have or will not have a theater that will be able to show the film in 70mm, there’s work also being done to figure out the best way to create a digital version. The report also mentions that 19 of these classic Panavision lenses are being reworked, and that these lenses are expected to next be used for Star Wars Anthology: Rogue One by cinematographer Greig Fraser. 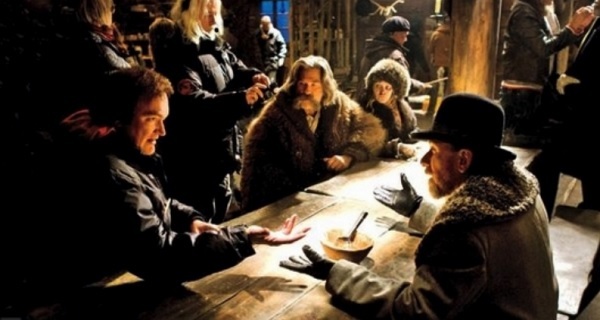 The Hateful Eight is scheduled for a fall 2015 release.